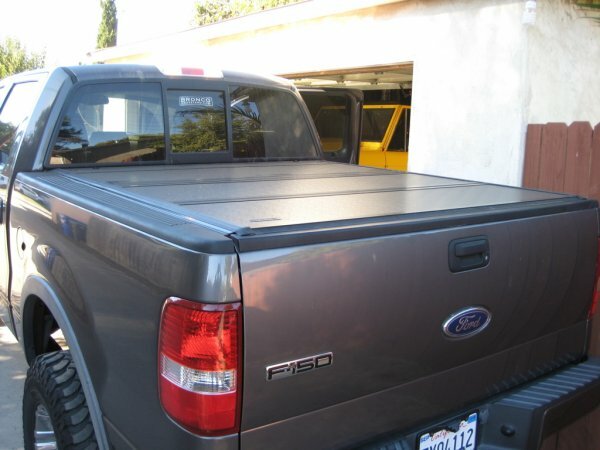 When I got my truck a few years ago, the first thing I added was a tonneau cover. I wanted something low profile and low maintenance, I was hoping for something that was completely flush with the bed sides but the best I could come up with was the Agri-Cover Access Tonneau Cover. It was nice but the biggest problem I had was that it either had to be fully closed or fully open, if I drove with it half way say if I was hauling lumber or a pipe with the tail gate up then it would blow all over the place. Overall it was nice and did the job though so I didn't really complain, or even think there was a better option. Below is my own installation image gallery of the BAK Flip HD, click to see more photos. Of particular note is how you can fold it all the way up to get FULL bed access, there is a rod to secure it so it won't fall back down while driving. Installation was a snap, it was actually easier than removing the old Access cover! These guys thought of everything from the drainage of rain water to making sure when its folded up it doesn't rub against itself and scratch the finish. Best of all, it lays completely flush with the bed sides and it looks awesome on my truck.